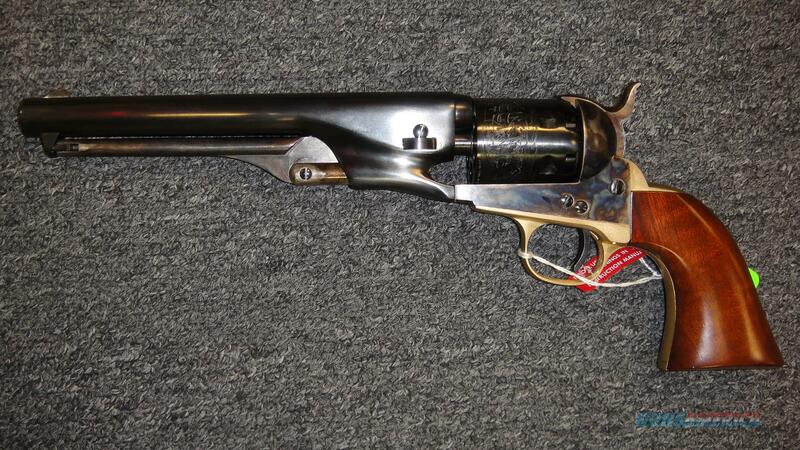 Description: This Uberti 1861 Navy Revolver is chambered for .36 Caliber black powder. It features a 7.5" blued barrel, case hardened frame, brass backstrap and triggerguard. No FFL needed for this.